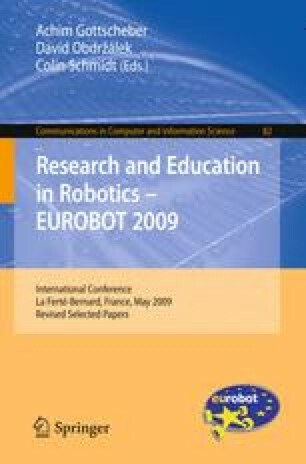 In this paper we present our approach to localisation of a robot in a known environment. The decision making and the driving is much harder to be done without the knowledge of the exact position. Therefore we discuss the importance of the localisation and describe several known localising algorithms. Then we concentrate on the one we have chosen for our application and outline the implementation supporting various inputs. Combining of the measurements is also discussed. In addition to well known inputs like odometry and other simple inputs we describe deeper our beaconing system which proved to be very useful.